Users often turn off ‘location history’ or ‘location services’ and think that Google is no longer tracking them and it is not collecting any location data from their devices, but that’s not true. A report from Associated Press had recently revealed that Google tracks our location for providing personalised search results based on our location and advertising. To stop this altogether, users need to turn off ‘Web & App Activity’ service of their Google account. This will stop Google from tracking and keeping a log of your location history. Google has become an integral part of people’s lives as it offers products and services which remain unmatched. In fact, a world without Google would send shivers down the spine of most people. One of the search giant’s most commonly used features is Google Maps. People who commute a lot always turn to Google Maps and the company keeps updating its features for its loyal users. Google has baked in features that are not available in competing navigation services. Some of these are yet to be used by most Android users. We list out 8 tricks of Google Maps that you can show off to your friends. 1. 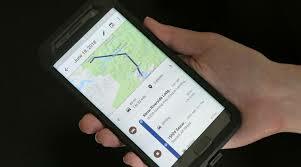 Offline maps : The advantage of having Google Maps is that you can download a section of the map. You can use your old smartphone as a GPS in your car or bike. The app gives a horizontal selection tool on the ‘Offline maps’ section and will also notify you of the amount of space being used. Any downloaded map is automatically updated once connected to Wi-Fi. 2. Set your default address : Now, that you’ve downloaded your maps offline, let us help you set up the basics -- your home and work address. Adding your home and office locations has a dual benefit. For one, it helps in quickly beginning navigation. Also, while you’re at work, you will be given alerts of traffic conditions on the routes back home. 3. Sharing your location : We do have friends who find it difficult to get to your location. Google has solved this by introducing the ‘location sharing’ feature. 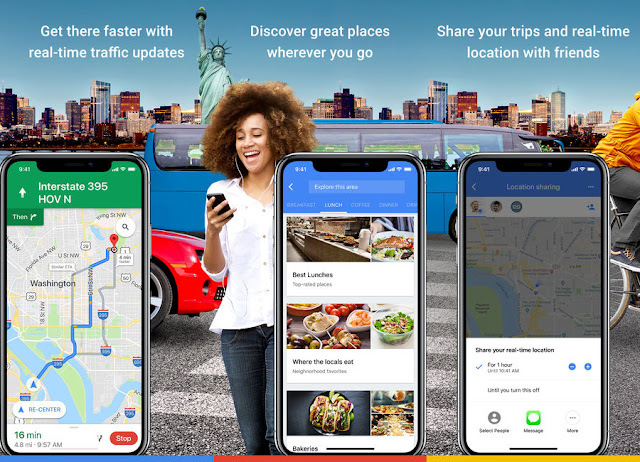 It allows you to share your location with your friends in real-time through the Google Maps app for a particular time period. So, this feature can be useful for those who find it difficult to convince their friends that they are where they say they are. 4. Places and businesses nearby : It happens often that you have nothing stocked up in your kitchen, and you suddenly get a call from a distant relative who say that they are coming to visit you. Or take an instance that you’re stuck in the middle of the highway, with your bike running on low fuel. With Google Maps, it’s easy to search for shops or petrol pumps. Just like the normal Google search engine, your keywords will lead you to the right results. 5. Single-handed zoom : Zooming in on the map while you’re navigating can be a little difficult. Double tapping on the section of the map that you want to dive into will automatically zoom into the map. To continue zooming in, you can double tap again on the screen, but ensure that your thumbs are still on the screen. You can now manually zoom in and out of the map. 6. Train and bus schedules : Google Maps in India includes timings for trains and bus services operating in your city. When searching for routes to your destination, you can filter the results to include different modes of public transport. The bus routes, the subsequent stops and the duration of your travel are updated according to your routes. 7. Track your own movements : Been to a place, but you can’t remember the name or the location? Don’t worry, as Google Maps has a history of your movements every single day. Heading over to Maps, you have an option of Timeline. Here, Google Maps shows you the places you’ve been and the routes you’ve taken. It also makes sure that you can update or delete data that Maps may have captured wrong. 8. Earn by becoming a Local Guide : Google Rewards is the company’s efforts to pay users for their invaluable time to provide feedback on services through surveys. The same programme is available on Google Maps in the form of ‘Local Guides’. Signing up for the rewards programme, you can add details pertaining to your locality like missing shops, update information about businesses, provide reviews on restaurants you’ve dined at. You can even post pictures to the platform, and earn from the app for your contributions. 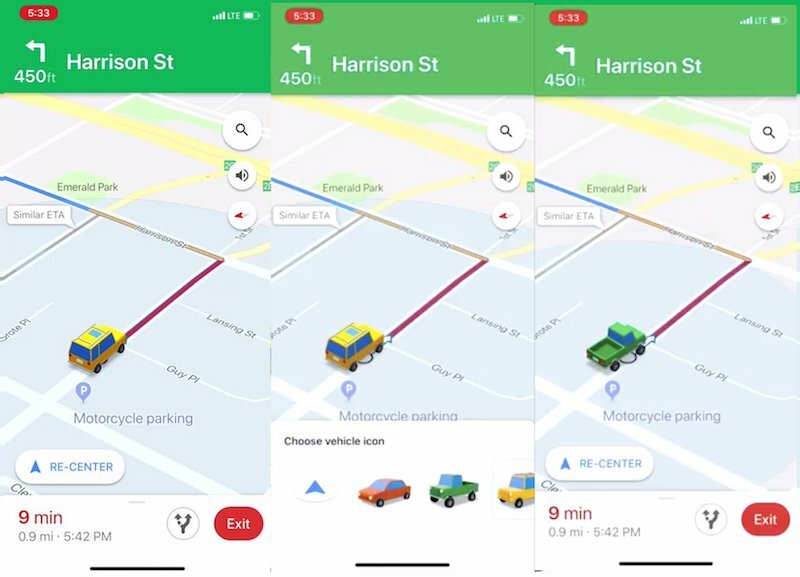 Google Maps has added a new feature that will give users the option to choose vehicles to show where there are, while they use the driving navigation to reach their destination. This is quite similar to the Mario Day Easter egg that Google Maps had, which swapped the blue navigation arrow to Mario and his kart. Munish Dabas, a User Experience (UX) Engineer with the Google Maps team was the one who announced this feature on Twitter. Incidentally, Dabas also announced the Mario Kart feature in the app. The feature at this point is only available on Google Maps for iOS, and not on Android or desktops. So if you have got an updated version of the Maps app on your iPad or iPhone, you can make your navigation experience much more fun. The feature is available in India on iOS devices too. In order to use this feature, users will need to update to the latest Google Maps app. Then you’ll just need to start the navigation and tap once on the blue coloured navigation arrow. This will present you with three options: a red sedan, a green pickup truck, and a yellow minivan. Tap on any of the three to select the vehicle and this will replace the navigation arrow and become your virtual partner on the journey. The icon will remain same in future navigations too till you change it to another option or good old arrow. Interestingly, you can use these vehicles icons even if you opt for walking, a car or public transport for navigation purposes. Though a small tweak, this feature makes Google Maps trips certainly more fun. The Maps, after all, comes preinstalled on most Android devices and is favourite among iOS users too. It has around a billion active users worldwide and is considered one of the most popular navigation tools globally. Like everyone else, I’m a pretty busy person. I’m also surprisingly impatient for someone who is otherwise very laid back. Combine those two things with the fact that I live in the most populous county in the most densely populated state in America, and you’ll understand why I have grown to hate going to dinner. Even with a reservation, you often still have to wait to be seated at popular restaurants in my area. What’s more, there’s a trend at some of the most popular places where they take limited reservations, leaving most of the restaurant’s seating reserved for walk-ins. At these places, wait times for a table can be as long as 2 hours. For these reasons, I feel like the latest update to Google’s wildly popular Google Maps app was made just for me, because it has a feature I’ve been dreaming about for as long as I can remember. At more than 1 million restaurants worldwide, the newly updated Google Maps app for iOS and Android will display average wait times. Anyone who lives in or around a major metropolitan area where congestion is a part of life is going to appreciate this new feature. – See average wait times at over a million restaurants worldwide. – Search and sort through reviews of a place. – Get transit directions that tell you exactly which entrance you need to go into. This feature is available now in New York, Hong Kong, Taipei, Paris, Los Angeles, Delhi, Moscow, Singapore, Madrid, Barcelona, Kiev, and Budapest, with more on the way! 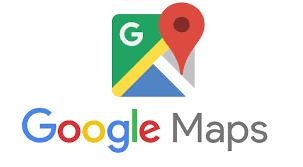 Google Maps is one of the main services by the search giant that is used by millions of users across the globe. Being one of the key apps it is obvious that the company is introducing new features every now and then making it easier for users to navigate and reach their destination. India is one of the key markets of Google Maps and to make it easy for people, there are several India-first features in Google Maps which you may not be aware of. So, we have compiled all the recent India-first features, revealed by Google to Gadgets Now. Here they are. 1. 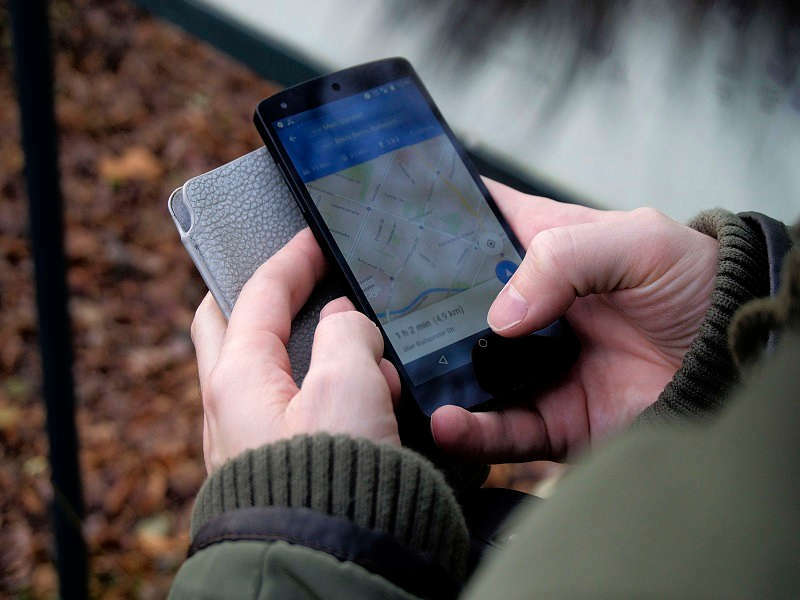 Two-wheeler mode Google launched the two-wheeler mode in its Maps app for Indians last year. The biker-based feature comes in addition to other existing options such as driving, walking and public transit modes. The two-wheeler mode shows some ‘shortcuts’ as well, something four-wheeler vehicles are not capable to take. 2. Offline mode Google Maps offline mode entered India back in 2015. This feature was announced keeping in mind the patchy network connectivity across the country. As a part of this feature, Google lets users download the entire cities and countries to see the routes even while there is no internet connection. 3. Landmark-based navigation Landmark based navigation is something not many may have noticed. At times, while using the navigation mode, the app says ‘turn left from [landmark name]’ instead of ‘turn left after [distance]’, which is quite helpful in India. 4. Smart Address Search Smart Address Search is one of the recent features introduced in Google Maps. In case you don’t know the exact location, searching for it in Maps will show you a nearby landmark. The aim for this is to make you reach as close to the destination as possible. 5. Add an Address Add an address is also a recent feature in Google Maps for India. The feature lets you add an address for millions of other users to see. This also comes with a filter. Google doesn’t allow users to put personal information for that location. 6. Customized home screen Last year, Google Maps in India got a custom home screen for easier navigation. The new home screen brings all the important features up front for users so they can quickly look at directions and download an area for offline use. 7. Schematic metro/rail maps Google last year partnered with metro and railway authorities in India to give users something more than routes – fares, connectivity, timings and more. This gives users complete information on travelling without the need to open a different app.